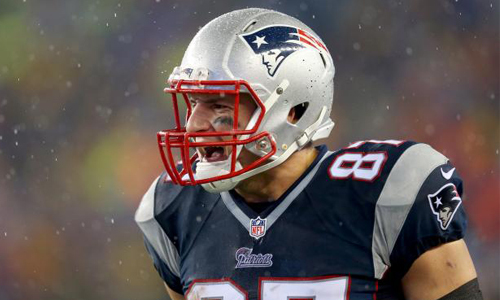 Rob Gronkowski to play a cop in new movie…why not? The summer of Gronk continues, and like a fine wine, it only gets better with the passage of time. The New England Patriots tight end and albino cousin of the Incredible Hulk is not only coming off his first Super Bowl victory against the Seattle Seahawks in Super Bowl XLIX, but now, he is taking his talents from the gridiron to the silver screen. 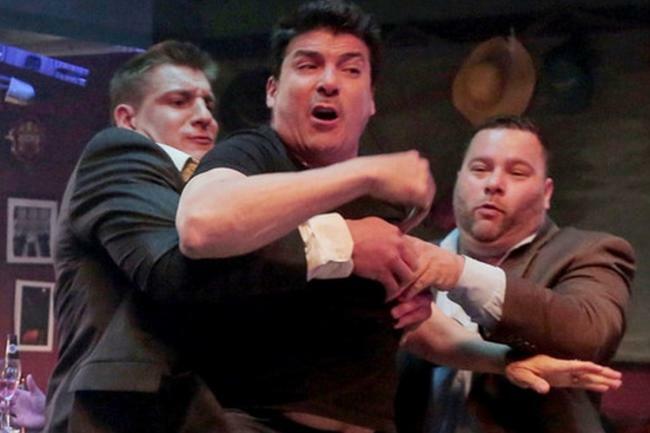 Gronkowski and his brother Dan will be appearing as cops in an upcoming film called “You Can’t Have It.” TMZ Sports has photos from the set, and let’s just say, they are glorious. Gronkowski playing a cop may seem like a bit of stretch, but stranger things have happened; like throwing the ball on second-down in the Super Bowl instead of giving it to Marshawn Lynch. Boom! No word yet on when the movie is coming out, but it should be a heavy contender at next year’s Razzie Awards. Colin J. Liotta is the co-founder and Editor-in-chief of The Sports Hero. He’s also a lifelong New England Patriots fan. You can follow him on Twitter @TheSportsHero.